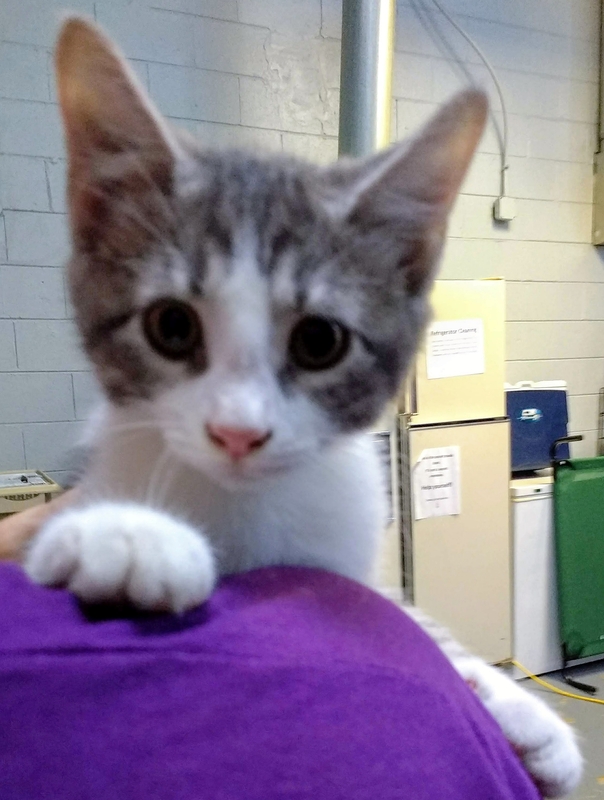 Jesse is an active, curious, playful kitten! This adorable group of kittens were born to a very young mom and living in a pretty rough situation. When they came to Lost Dog & Cat Rescue Foundtion we found out she was already pregnant again. Her kittens are all so sweet and ready to find their loving homes. They are all playful and friendly, some a little shyer than others, but they have all really blossomed in the short time they have been with LDCRF. Jesse would love to be adopted with a sibling or to a home with a playful, friendly young cat or dog companion. For more information or to meet Jesse, please email cats@lostdogrescue.org or call (703)295-DOGS.